How to save in style! In case you hadn't noticed, there has been a quiet revolution in LED design, making the switch to a more sustainable light source a no brainer! 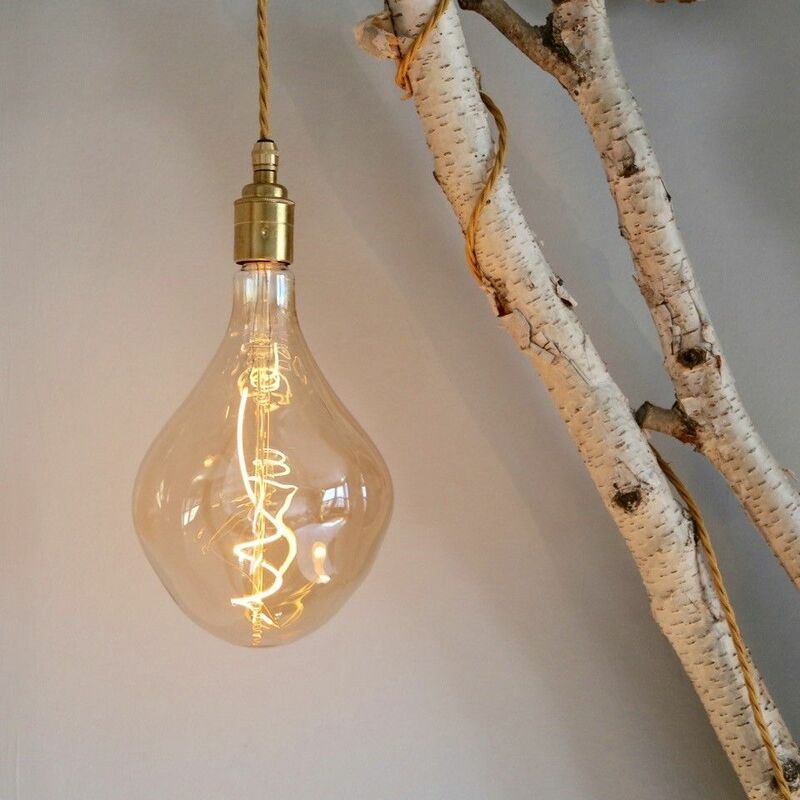 The new organic shaped, mouth blown designs have taken the filament bulb trend and run with it to places that even a couple of years ago we wouldn’t have believed possible. 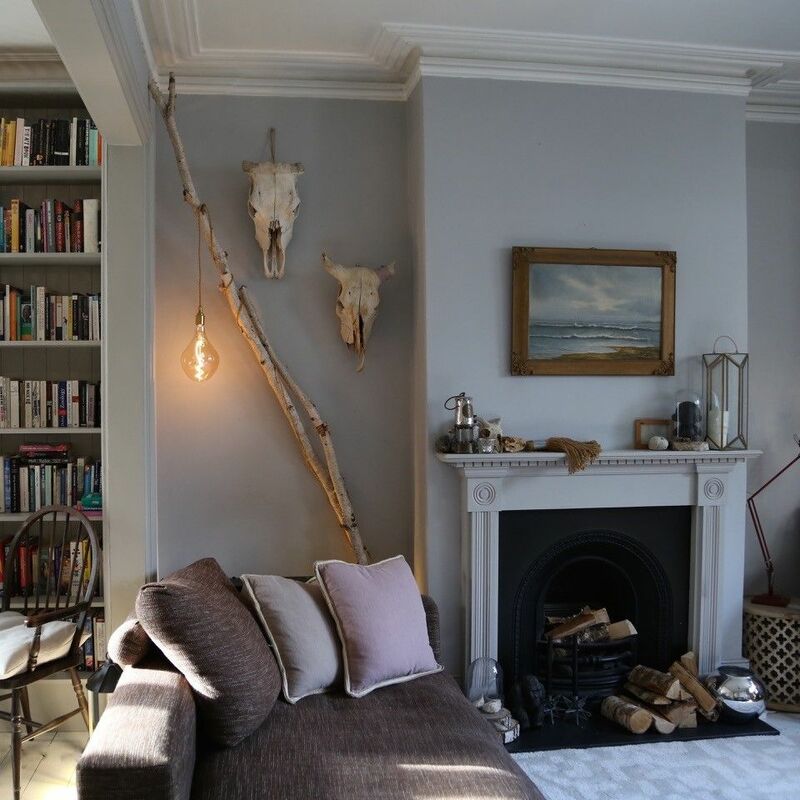 This simple yet elegant use of an LED filament lamp (as seen below in one of our client’s homes) is only the tip of the iceberg when it comes to what can now be achieved with the new wave of gorgeous designs. Taking this stunning oversized organic shaped lamp, anchored by one of our beautiful brass lamp holders, they’ve arranged it artfully alongside the myriad of found items that have been used to decorate their home. 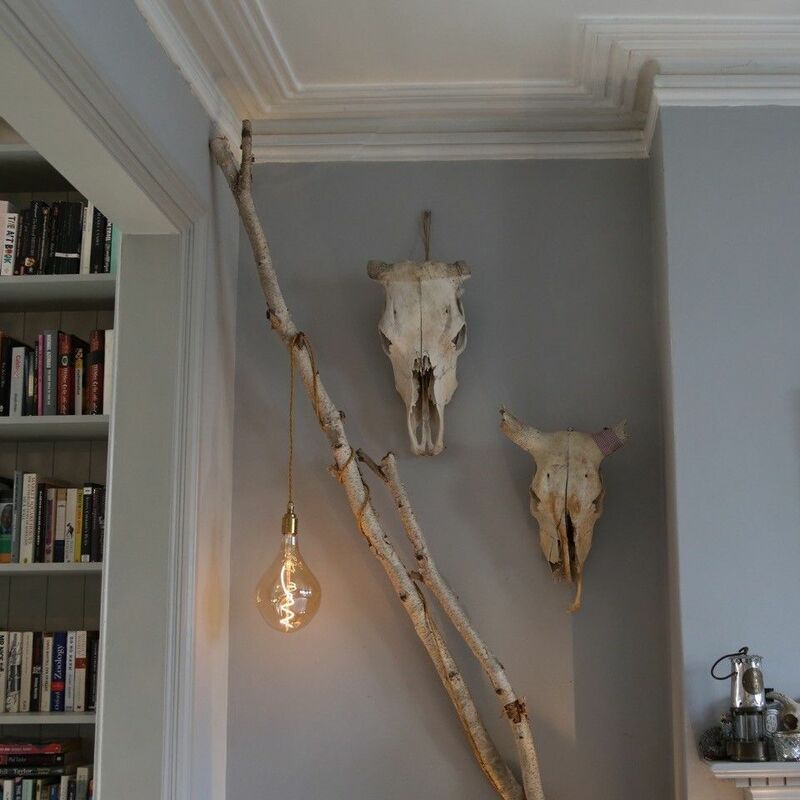 We love the way that our vintage style textile covered cable runs along the leaning Himalayan Birch branches, down to a hidden plug creating a unique light source that’s as striking a feature as the cattle skulls it illuminates! Bursting with movement, the free flowing shape of the filament and the play of reflections along the uneven surface of the glass brings this simple yet very effective fitting to life. So if you have a dark corner that could do with a little stylish (and sustainable) sparkle, all of our fittings are available from our online shop. Don’t forget, we’re always on hand with help and advice if you’d like to create your own unique design - you can contact us or come and visit us in-store.